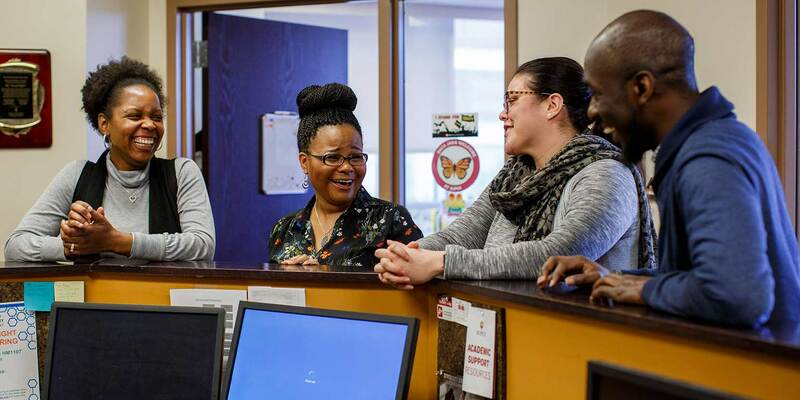 Dr. Khalilah Shabazz, director of the IUPUI Multicultural Center, likens her transformative journey from an 18-year-old single parent to a doctor of higher education to that of a butterfly. Born and raised in Indianapolis, Shabazz was determined to shatter the stereotype of an uneducated and unproductive black teenage mother. 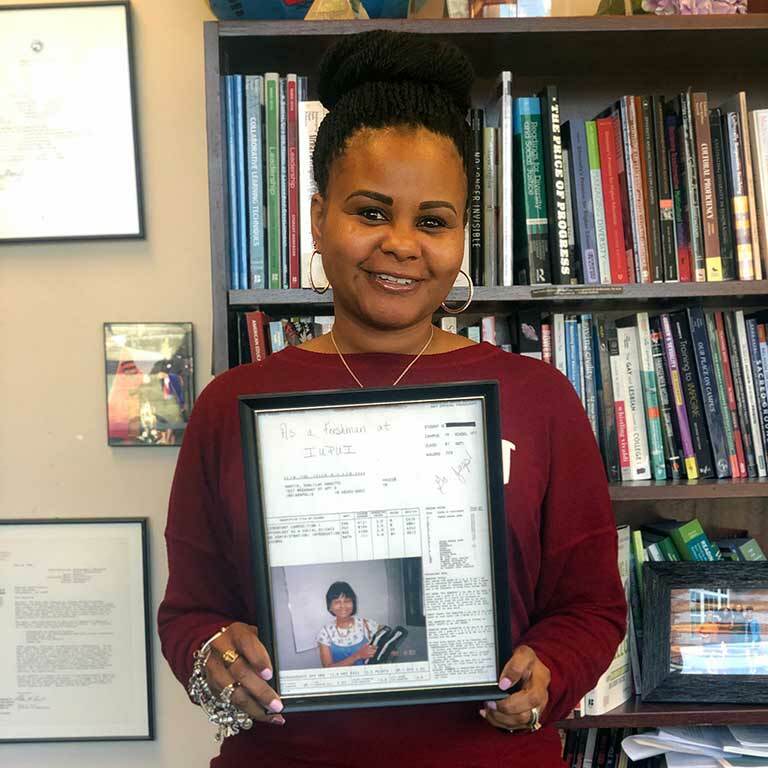 In 2000, she became the first in her family to graduate from college when she earned a bachelor of science in psychology from the School of Science at IUPUI. Her passion for education and her desire to work with students like herself propelled her to a master of science and Ph.D. in higher education and student affairs from the School of Education at IUPUI. During her 17-year career at IUPUI, Shabazz has focused much of her work on supporting and retaining minority student populations. She first joined the staff as the the scholarship coordinator in the Office of Student Scholarships and soon afterward was promoted to assistant director for student retention and scholarship. 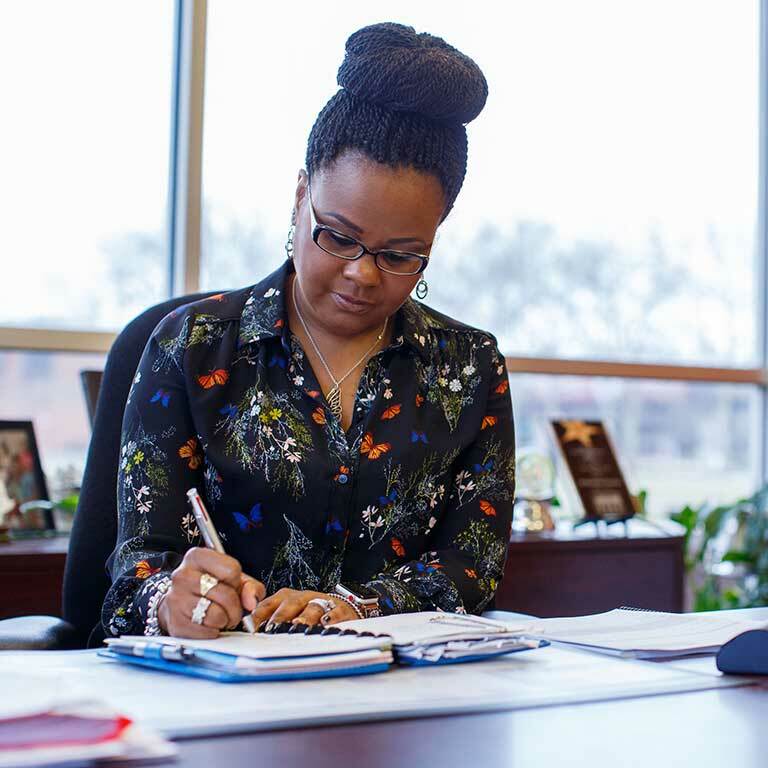 As founding director of the Diversity Enrichment and Achievement Program, Shabazz developed and implemented concepts and strategies to promote the success of underrepresented students at IUPUI. 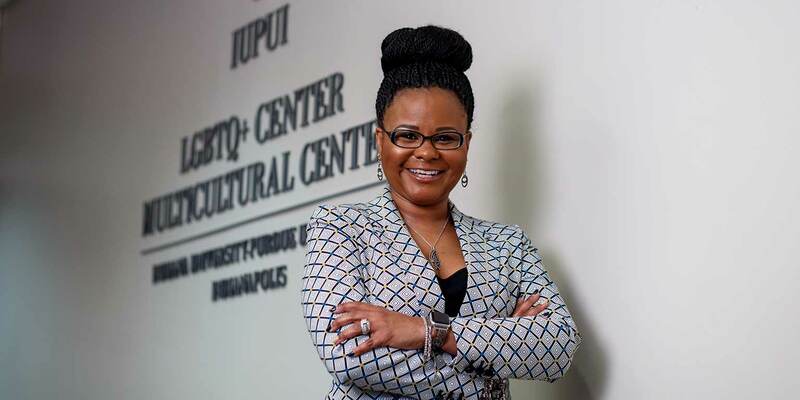 In 2014, Shabazz became the second director of the IUPUI Multicultural Center. Under her leadership, the center promotes the value of diversity and cultural awareness among students, faculty, staff, and the community. A leader in diversity programming and education on campus, Shabazz oversees the center's daily operations and contributes her vision to its future development plans. "Our students have stories and journeys that they share with us, and it is an absolute pleasure to be part of their academic, personal, and social development while they're here on campus," said Shabazz. "I hope that IUPUI will continue to celebrate the rich cultural history of our institution and the diversity of our campus for future generations." In addition to her work at the Multicultural Center, Shabazz teaches courses on diversity and multiculturalism for the School of Education and University College, and co-directs the Sankofa: A Cultural Journey through Ghana study abroad program. She also conducts cultural competency workshops in the community and is the founder of Student African American Sisterhood National, Inc., an 18-chapter national nonprofit organization dedicated to the development of young women of color in the educational pipeline. Shabazz's accomplishments have been widely recognized. She is the recipient of the Susan B. Sutton Study Abroad Award, the Black Student Union Advocate of the Dream Award, the Alvin S. Bynum Mentor Award, the IU Neal-Marshall Distinguished Alumnus Award, and the Glenn W. Irwin Jr., M.D. Experience Excellence Award.